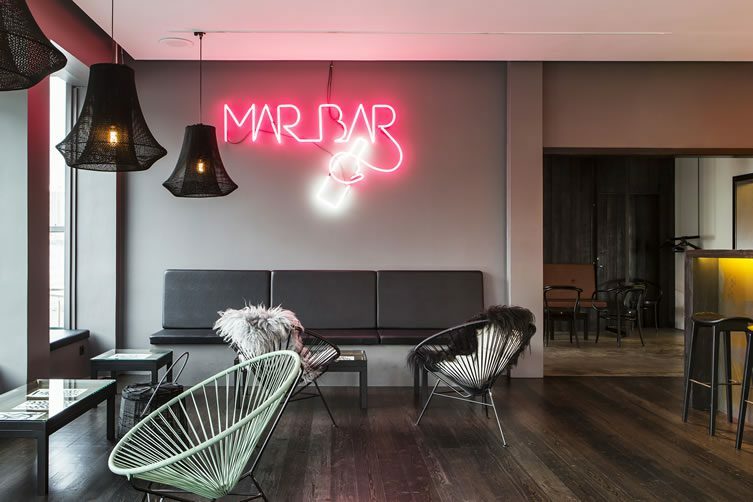 The progeny of Reykjavik restaurant Mar, Mar Bar (keeping it simple) again looks to the harbour area for its inspiration. 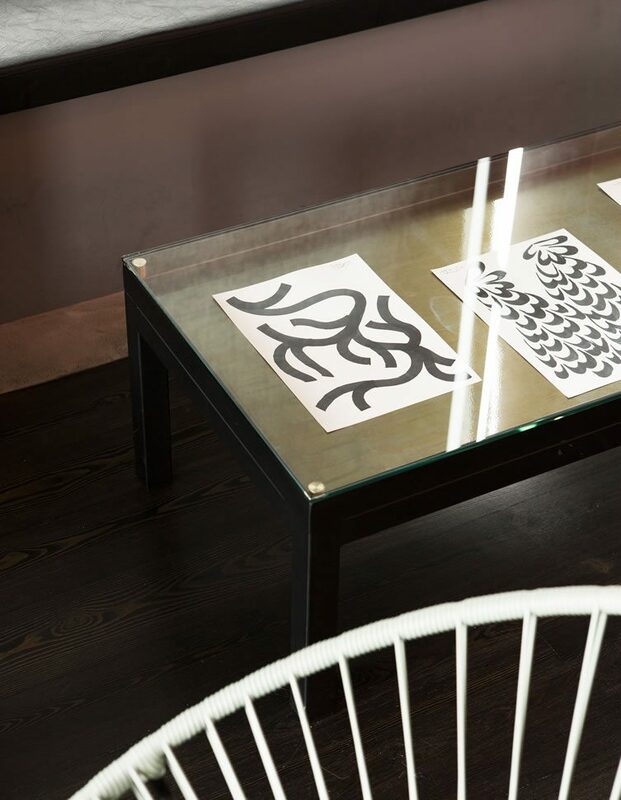 Local designers HAF studio are on board again, me hearties, drawing on marglytta (Icelandic for jellyfish) aesthetics, employing their own Möskvar Lamp — handmade by a local fishnet maker — and roping in graphic designer Siggi Odds (responsible for a custom graphic relief at Mar) to present a collection of drawings inspired by those human-aquatic mythical creatures the Merfolk. 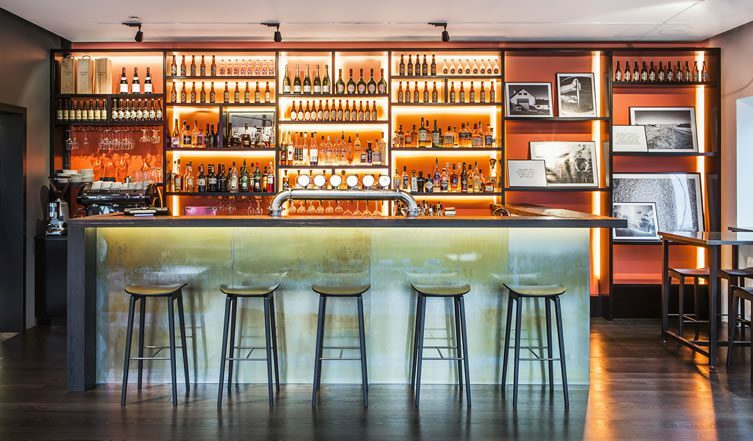 Odds’ drawings occupy Mar Bar’s custom-made lounge tables, designed to house regular exhibitions; further arty touches arrive in the form of a hot-pink neon lighting installation. 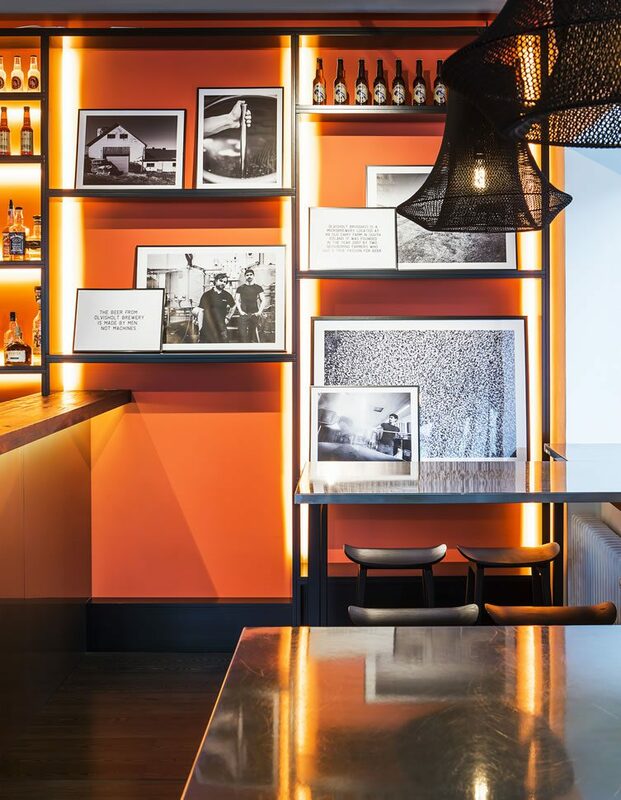 Weathered black wood and oxidised steel claddings complete the harbour-inspired look — Icelandic craft beers, quality wine, local snaps (schnapps) and cocktails like ‘chia whiskey sour’ complete the offering.